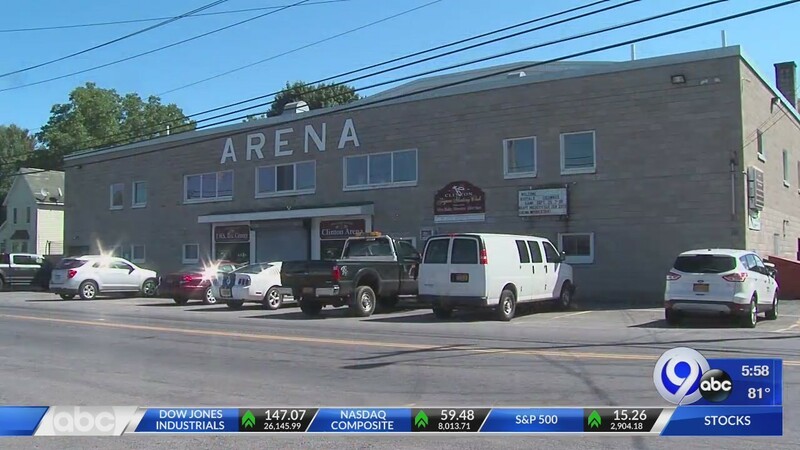 CLINTON, N.Y. (WSYR-TV) – They’re putting the finishing touches on historic Clinton Arena as it gets set to host an NHL preseason game. The arena won the Kraft Hockeyville USA contest beating out about 7,200 other community rinks in the country for the honor. Mike Orsino runs the rink for the Town of Kirkland Parks and Rec Director and has been a part of operations there since 1971. The Buffalo Sabres will take on the Columbus Blue Jackets on Tuesday evening September 25. Upgrades to the rink include higher glass around the sides, plus new kevlar safety netting to replace the nylon one they’ve had up. They expect to be able to fit about 2,700 people, including standing room only, into Clinton Arena. The Arena will lose about 88 seats behind the penalty boxes because they’ve taken the safety netting over the glass in that section and pulled it back to make a clear shot of the rink for NBC Sports TV cameras that will be broadcasting the game. More than half of the tickets will be given to the community’s youth skaters. Of the remaining tickets, almost 30 percent will be available to the public by random drawings. Three categories of drawings are set: Residents of the Town of Kirkland, Residents of Oneida County excluding the Town of Kirkland and All Others. Entrants will be entered in only one category. The majority of tickets will go to Town of Kirkland residents. Winning Entrants will be given two tickets and will be notified on the Clinton Arena-Kraft Hockeyville page by 10 a.m. Saturday, Sept. 15 and posted by that time at the Clinton Arena. All those attending the game must pick up their tickets in person at the Clinton Arena. Tentative dates are Sunday, Sept. 16 from 12 to 4 p.m. and Monday, Sept. 17 from 12 to 6 p.m. Identification is required by everyone to claim their tickets. Special arrangements can be made as needed. All tickets must be picked up by 5 p.m. Friday, Sept. 21 or be forfeited.